A Christmas break in a cosy cottage with a log fire in the beautiful Scottish countryside is hard to beat, whilst spending New Year in an idyllic country mansion or stunning castle with a group of friends is the perfect way to see in the New Year in style. Celebrating a festive getaway in Scotland need not break the bank as many stunning castles, large country retreats or cosy cottages can be all yours at a reasonable price, with some good discounts available through Cottages & Castles Ltd.
Cottages and Castles, Scotland's specialist holiday lettings agency, has experienced an increasing trend this year from large groups of family and friends booking Scottish castles and country mansions over the Christmas and New Year period, as they are one of the most affordable options, according to manager Sue Bourne. To stay in some of the most spectacular large rural properties available in Scotland, it can cost as little as 20 per person per night. Sue said: "In a difficult economic period, booking a self catering holiday in Scotland allows people to control their own costs for food and drink without having to pay high prices at bars and hotels. Our customers, both from home and abroad, love the individual touch and the unusual settings that our properties can offer, especially over the festive period and what could be better than your very own Hogmanay Ceilidh in a stunning Scottish castle! "This year has seen a number of bookings where people are coming in from all over the world to meet in a Scottish house to celebrate Hogmanay, with the added appeal of the chance of some winter snow." Holiday maker, Charles Morrison has been booking New Year breaks through Cottages & Castles for three years now as part of a large group of friends. Charles said: "We have booked a variety of properties in the past and this year we're staying in Loch Avich House, a large Victorian Lodge in Taynuilt, Argyll. The advantage of booking self-catering is the space a large exclusive house offers and the ability to be with close friends in a relaxed private environment where we can also do our own cooking, which we find very sociable. "Living near London it's nice to escape the city life at this time of year. As our group of friends live all over the country, New Year is the ideal time to get together and there's no better place to celebrate Hogmanay than in the beautiful Scottish countryside." River Lodge, Inverness sleeps 12 - 5000 for Christmas or New Year week with short breaks over festive period available from 3750. River Lodge is a five star luxury property which offers exceptional holiday accommodation in a tranquil wooded location between Loch Ness and the city of Inverness. 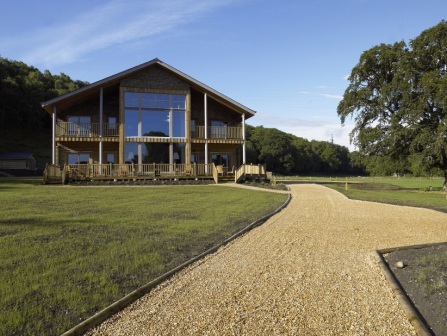 The lodge enjoys picturesque views over the River Ness providing an ideal retreat, perfect for large groups. The lounge with its truly magnificent fireplace and double height cathedral ceiling forms the centre point of the property with the grand picture window allowing guests to marvel at the breathtaking views over this famous river. 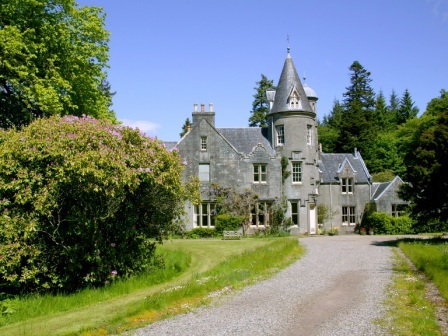 Glenfeochan House, near Oban sleeps 14 - New Year week reduced from 3900 to 3600. Glenfeochan House is in a wonderfully secluded positioned on a private estate overlooking its own lake with glorious views to Loch Feochan yet only five miles from the harbour town of Oban. This impressive baronial-style house has tremendous character and history and is furnished to the highest standard. The drawing room offers sumptuous leather seating and open log fire and stunning views across the loch is sure to create the backdrop to memorable evenings. The private tennis court, well equipped gym, snooker table, table tennis and table football will offer hours of entertainment whilst the rowing boats on the private seven-acre lake or walks round the walled garden and Victorian Arboretum offer some tranquil afternoons. A large beautiful country house set amidst 1500 acres, Burgie House is a welcoming and family friendly holiday house that is perfect for a large group offering an abundance of charm and character. This much loved family house includs a wonderful basement billiard room and a fantastic Ceilidh room a great play area' for young and old. 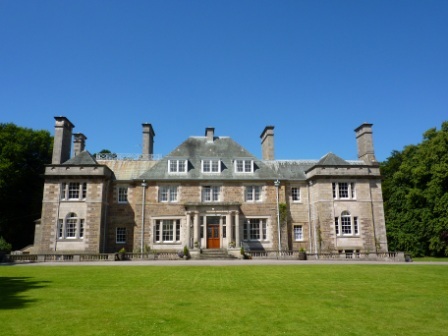 Outside, there are beautiful grounds complete with Arboretum and lochans, paddocks (you can bring your own horse if you wish), natural woodlands and walking/cycling tracks as well as large lawns and BBQ areas. Burgie can offer you field sports on the estate, catering for all or some of your meals if you prefer not to self-cater and some housekeeping should you wish. 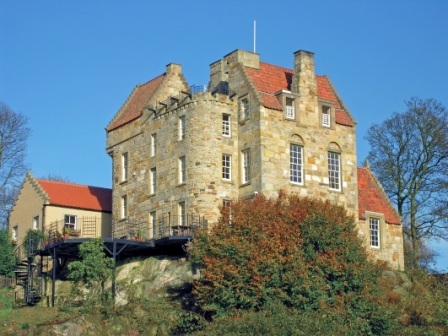 Grade A listed Easterheughs Castle is situated high above the Firth of Forth and enjoys a dramatic and breathtaking location with views of Edinburgh Castle. 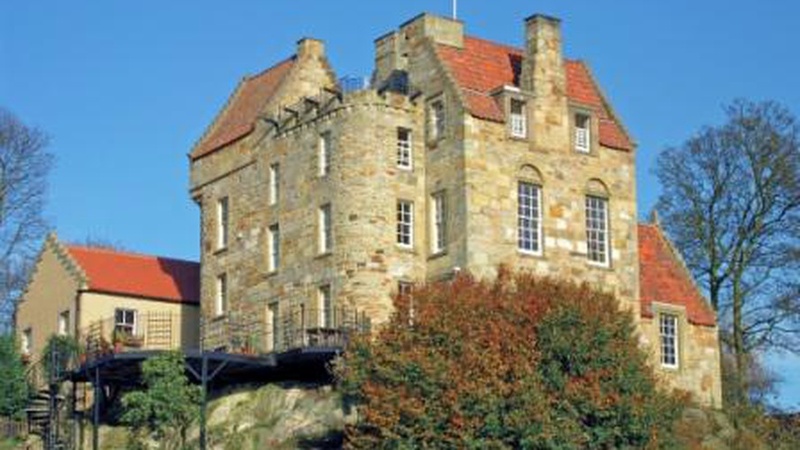 The tower holds many architectural surprises and is immersed in history and to add to the prestige, the castle was once the home of the famous Scottish painter Jack Vettriano. The interior of the castle is immaculate and full of character and the accommodation is beautiful and boasts traditional atmospheric steep twisty stair cases. The master bedroom has sole access onto an outside turreted terrace complete with cannons for protection! The grand drawing room has a cleverly hidden false door which leads to a small movie cinema whilst the timber lined dining room is charming and lends itself nicely to formal dinner parties or even a Scottish ceilidh. For more information on all properties available over the festive period through Cottages & Castles please visit www.cottages-and-castles.co.uk or call 01738 451610.